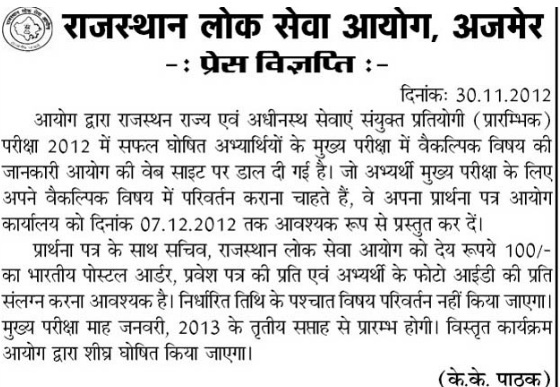 Press Note of RPSC in regard of change of optional. This is cutting of newspaper, sad to say that RPSC has not updated its own website in this regard. thanks and rpsc plz take exam in mid feb.
thanks for the Information about exam for ias on this blog, will be looking forward for Next Post.